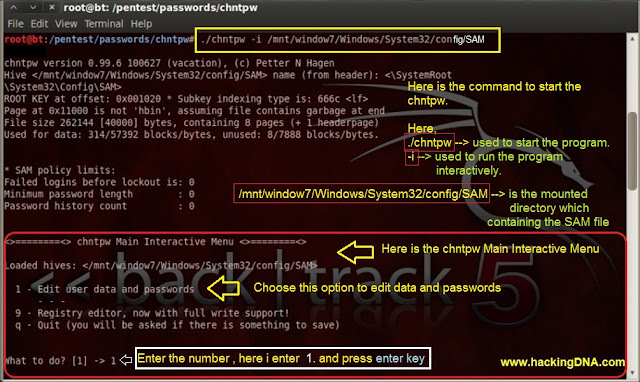 chntpw program is written by Petter N Hagen . 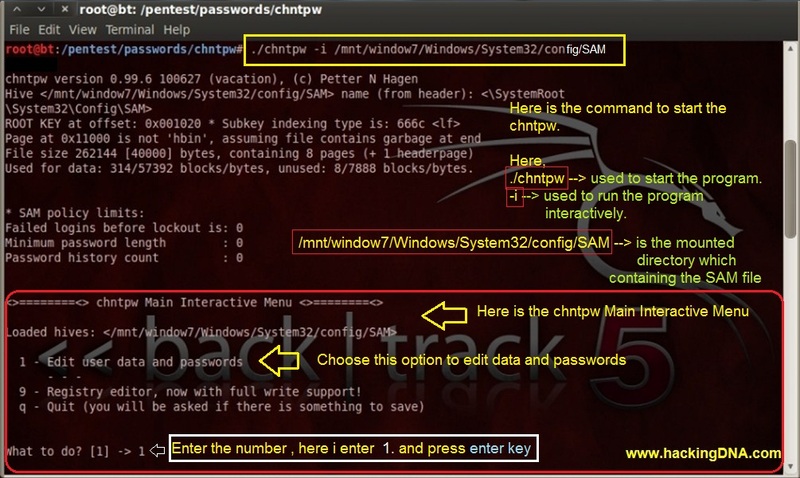 chntpw is used to bypass the windows NT/2k/XP/2k3/Vista/Win7 SAM file . 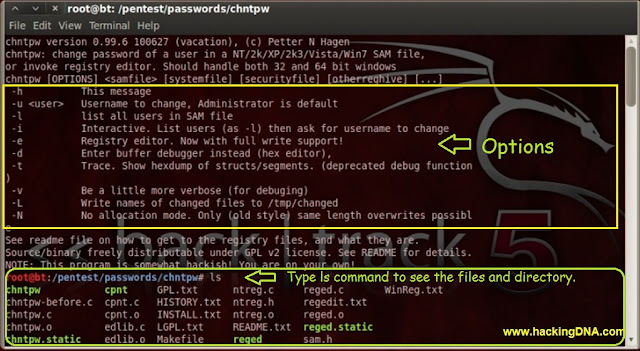 chntpw can handle both 32 and 64 bit windows. 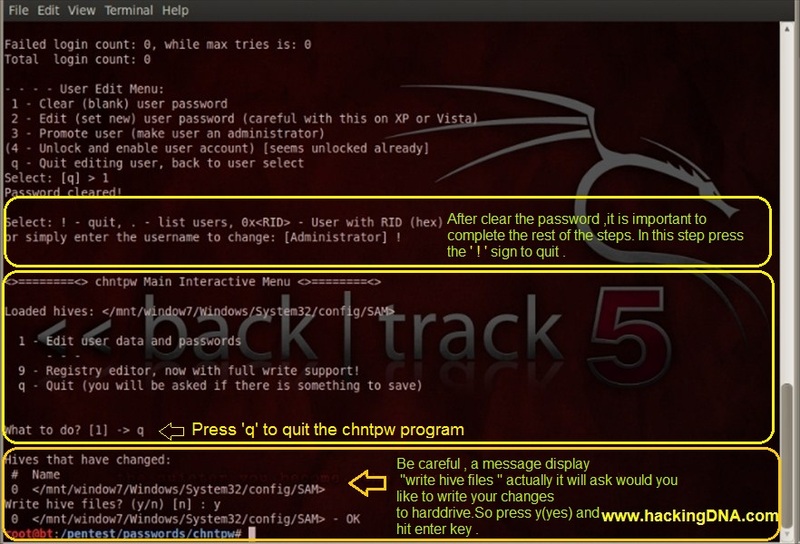 With chntpw you can clear the user password. chntpw is used to edit the user password. chntpw is also used to enable the user account . STEP 3 : MOUNT THE PARTITION TO THE MOUNT POINT . STEP 4 : Now navigate to windows 7 directory . Also we use ' ls ; command to check next directory(Windows) is present here or not . Command : cd Windows // shown in the image . Click the image to view large . 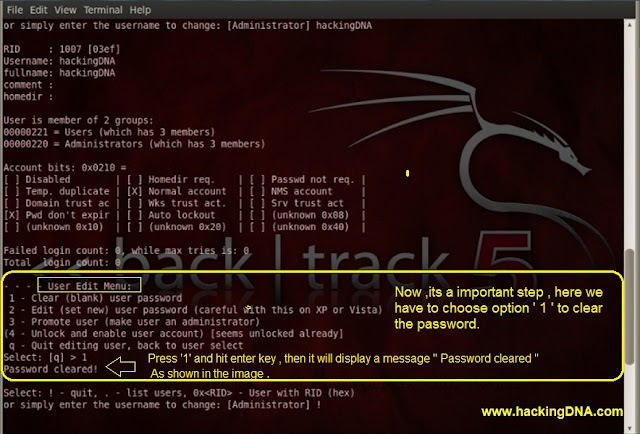 STEP 6: Use 'ls ' commmand used to check System32 directory is present or not . 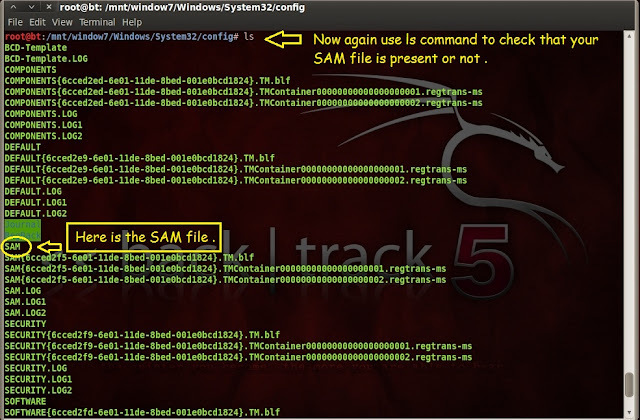 STEP 9 : Use 'ls' command TO CHECK the SAM is present or not . The reason behind all the above steps is to give you the correct path of SAM file . In Window7 - Only 'W' is capital in Windows directory and 'S' is capital in System32 directory . 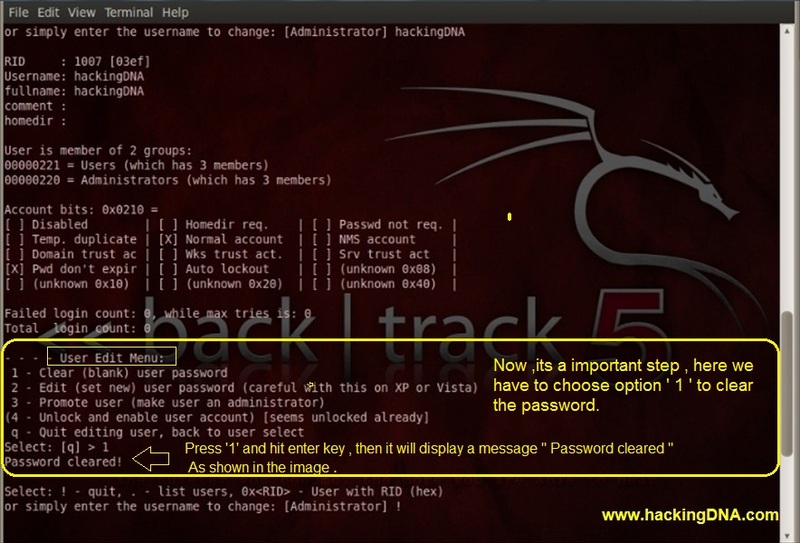 In this step you have to enter '1' to clear the user password as shown in the image . In this step , you have to quit the program by pressing ! (Exclamation Sign ) and then press 'q' to quit . And at the last it ask you to save the file in the Harddisk . Remember you have to press y(yes) as shown in the image . to save the new SAM file in your Harddisk . 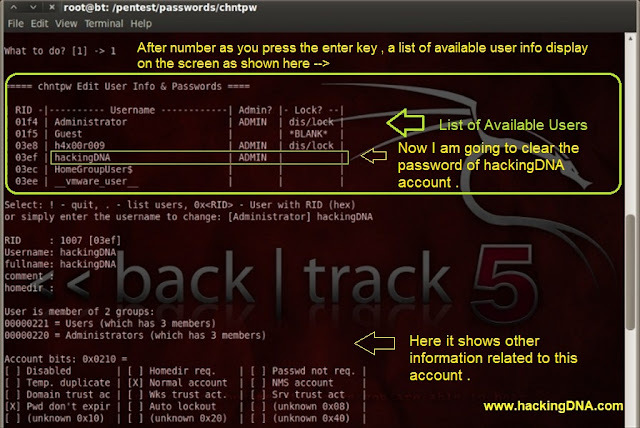 After clear the password Restart your PC . 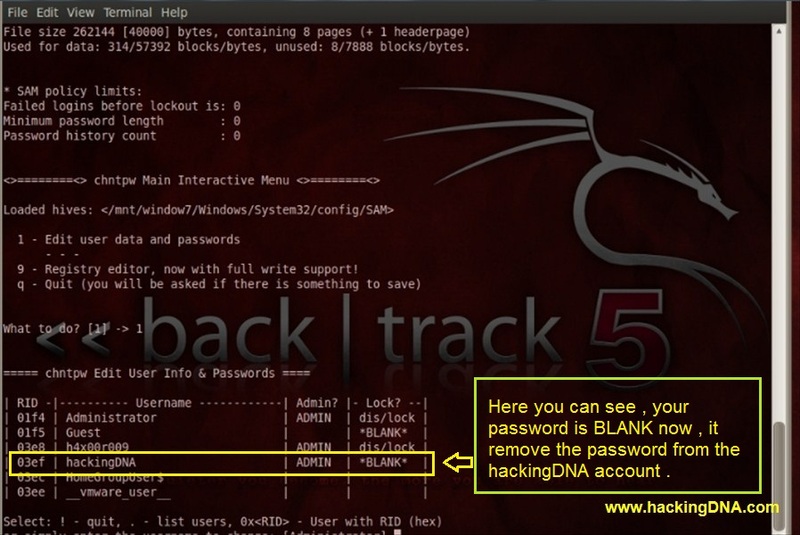 hackingDNA //Enter the username . I did this and it worked until I logged back into windows... From there the account had disappeared yet in Account Control it is still visible and it still has its archives and data. note: on the start up windows ran the chkdisk to check the consistancy of the OS. When I tried to quit it didnt give me the write to SAM file. Please advise.